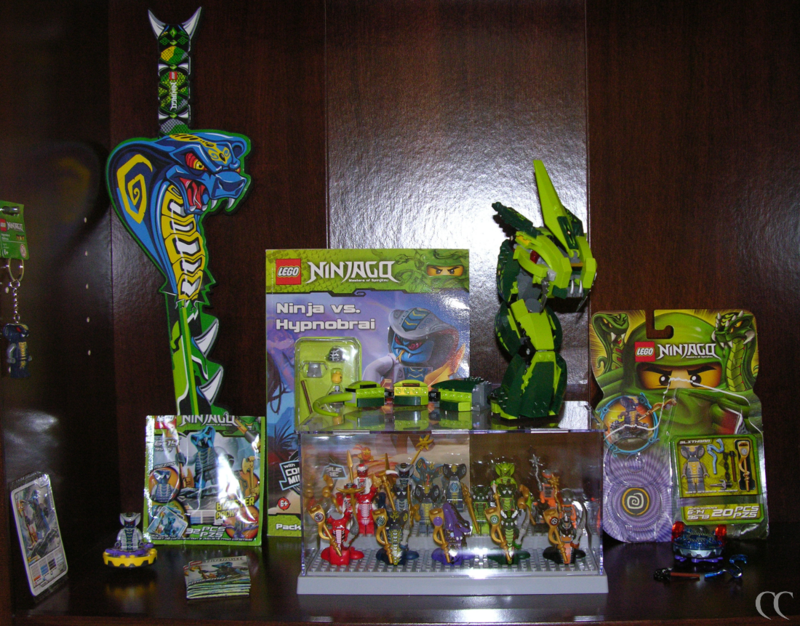 Slithraa key chain, sealed pack of cards from 9555 Mezmo since I bought two, Rattla spinner, Skales foam sword, empty bag of 9555 Mezmo, Ninja vs. Hypnobrai activity book, the Serpentine Minifigure and Great Devourer display, and empty package of 9573 Slithraa along with the spinner and Mezmo's booster pack add-ons. 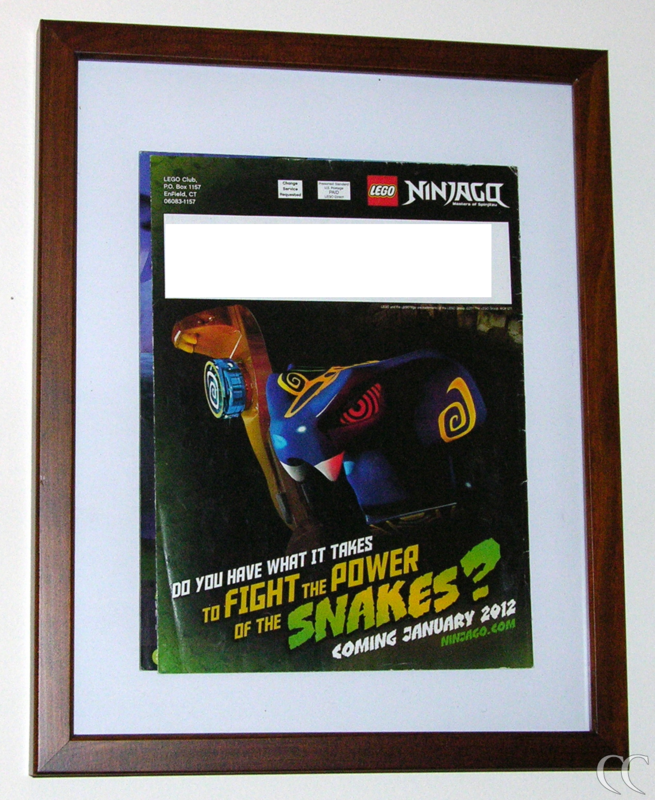 Here is my November - December 2011 LEGO Club Magazine, which is framed because it was the first glimpse I ever got of Skales, who has become my favorite character of all time. 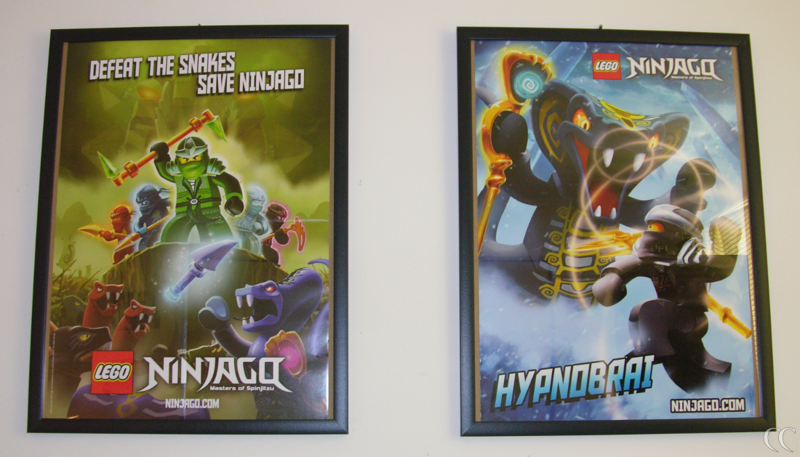 Lastly, here are some posters. 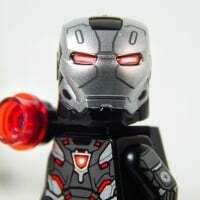 The Hypnobrai one is also available in a variant that has "FIGHT THE POWER OF THE SNAKES!" in place of "HYPNOBRAI". The "HYPNOBRAI" variant seems much rarer, so I snagged it from an eBay seller last year. Getting proper sized frames for these was a nightmare though.